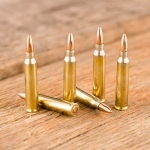 Stock up on 7.62x39mm ammo for your AK or SKS and enjoy low per-shot prices with this case of 1,000 rounds. 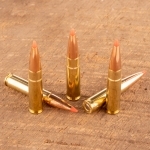 These cartridges fire a 122 grain hollow point bullet at a muzzle velocity of 2,330 feet per second. Although mostly used for target shooting, this ammo can serve as a low cost varmint or hunting load as well. 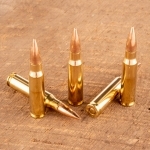 Tula has been a center of Russian cartridge manufacturing for centuries. 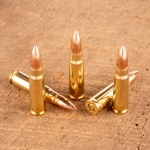 Today, it is one of the largest ammunition producers in the world. Like most Tula ammo, these rounds use non-corrosive Berdan primers and polymer coated steel cases. 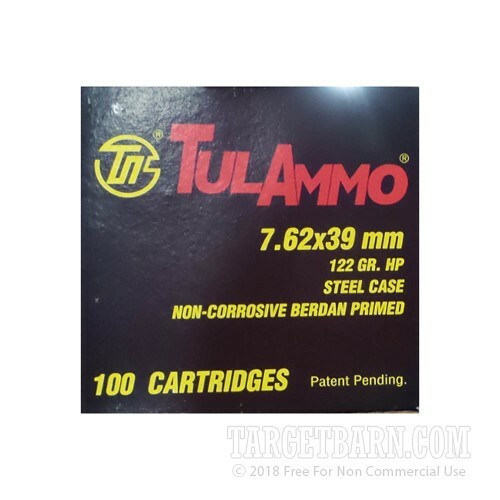 The polymer coating reduces friction in the magazine and the chamber, enhancing the already-formidable reliability of the rifles chambered for this ammo. You wouldn't want to have lots of ammo and nothing to shoot at--pick up some targets at TargetBarn today!